Grammy-nominated thrash masters ANTHRAX will release ‘Chile On Hell’, a live-in-concert DVD, on October 17th (EU)/ October 20th (UK). 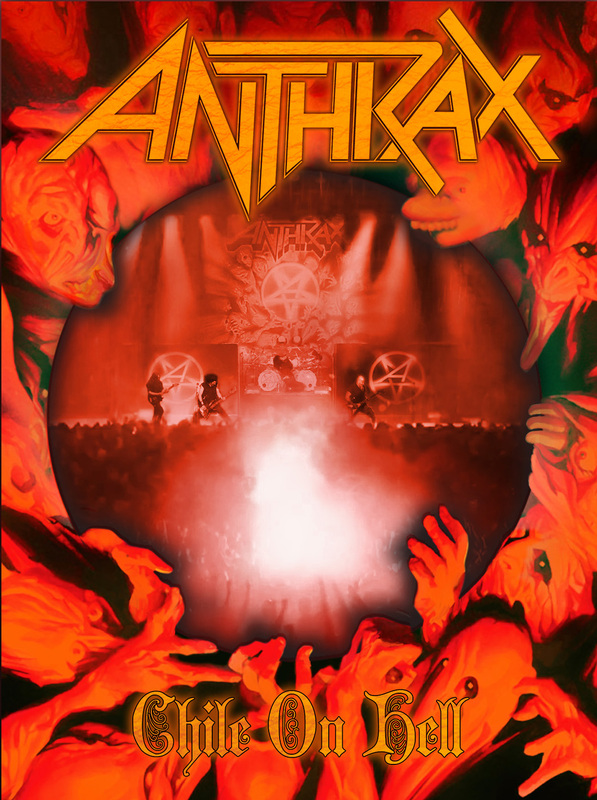 »Chile On Hell« was filmed at the Teatro Caupolican in Santiago, Chile on May 10, 2013 and features ANTHRAX performing an extended set that featured songs from the band’s entire catalogue. A live video clip of ANTHRAX playing ‘A Skeleton in the Closet’ can be seen below. »Chile On Hell« was produced by Jay Ruston and filmed by City Drive Entertainment Group and DC3 Global. The DVD’s cover art was designed by Stephen Thompson, who partnered with Benante to “redesign” the artwork from last year’s ‘Anthems’ EP.